This ultra modern anodised aluminium LED bollard light will compliment any Caravan Park. Perfect for additional site lighting, walkways, amenity block markers and pools. EXTREME Lighting incorporates a cost efficient, maintenance free and super long life 6000K LED with an Acrylic lens. The non-intrusive LED lighting improves security and safety for night time arrivals and activity. 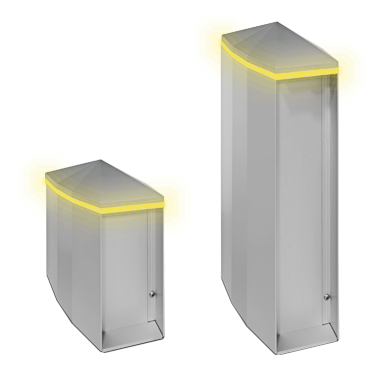 With an enclosure rating of IP45 the bollards are also being used as an all weather enclosure for storing gear on site. Comsen’s range of EXTREME Lighting can be configured to your specifications. Please contact us to discuss your exact needs. Include an outdoor power point. Custom coloured anodised aluminium available for large projects. The standard EXTREME units are bolted to a base 290mm x 140mm. Rubber gasket protection mat included 290mm x 140mm.